When asked if I wanted to try this new 12 piece brush collection from Nanshy, I said yes. It's a brand I've not heard of before but what caught me was that these brushes have synthetic antibacterial bristles, 100% vegan, cruelty free - Yes no animal fur at all has been used to make these brushes & also Peta.org approved. 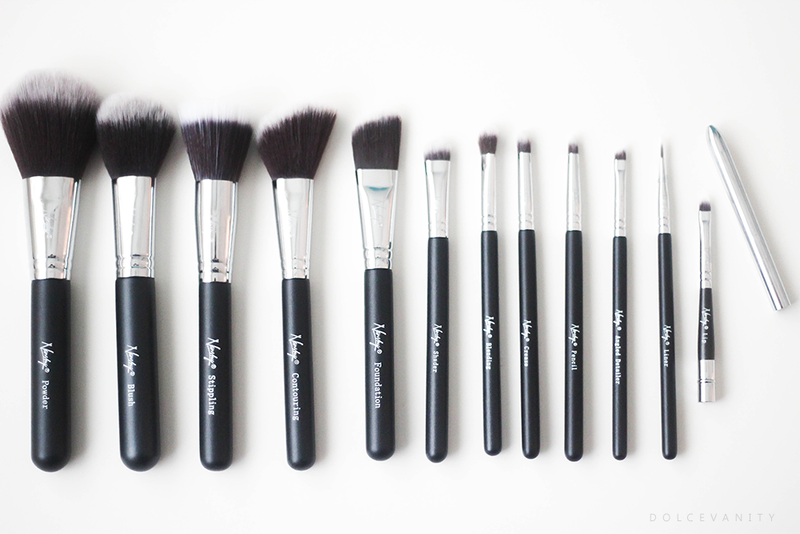 These brushes are also suitable for any type of skin that you have, sensitive, normal, dry, combination, young or mature! So what do you get in this collection? I've used the majority of the eye collection in a couple of looks I've done and they've been washed, they've kept their shape, no shedding and product washes out nicely out of the brushes and reverts back to their original state which I like. I always hate when brushes start to get dirty looking after first use no matter how much I clean them that's why I normally prefer black bristles. So far I'm pleased. The face brushes I've not used but will be soon and I hope that I will be using them in my personal as well as getting more for my professional make-up kit. What I like and noticed about the lip brush is that it has a cover, making it nice to put into your make-up bag for portable use, keeping your brush and make-up bag clean. If you're looking for a start up collection, I would recommend this to start you off. 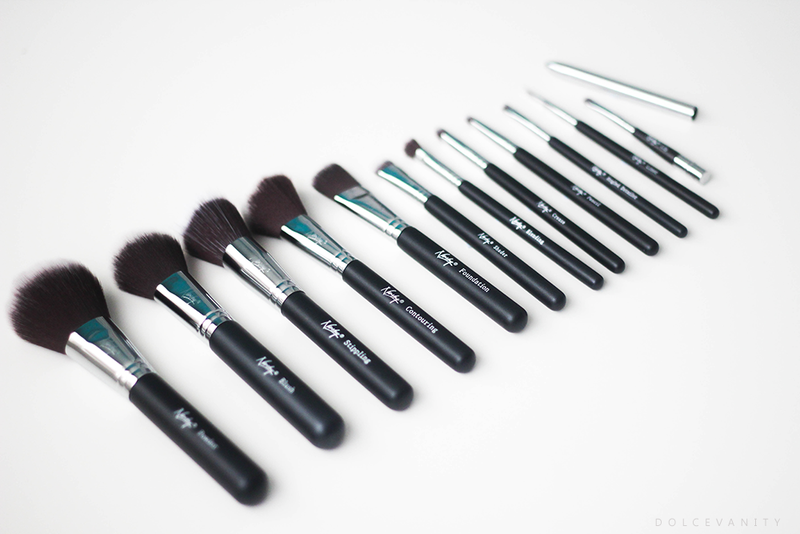 12 brushes, cruelty free & vegan - you cannot go wrong.